The road back was never going to be a smooth one. Nearly a quarter of a century had elapsed between the recent reunion of The Cars and the band’s last studio album. Benjamin Orr, its bassist and the voice behind its biggest hit, “Drive,” succumbed to cancer in 2000. Then there was the ill-fated New Cars debacle, featuring Todd Rundgren in place of singer/rhythm guitarist Ric Ocasek, which met with dismal album sales and critical indifference. 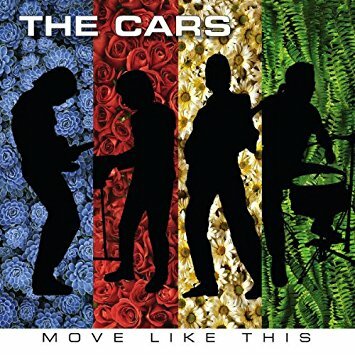 And yet however much skepticism such factors may give to those prior to listening to Move Like This (Concord Music) is all but forgotten once its opening track, “Blue Tip,” kicks in with a sound that is at once familiar yet futuristic, boasting the sort of quirky vibe and irresistible hooks that are quintessential to the music of The Cars. With Ocasek having returned to the fold—the line-up is rounded out by all-original members Elliot Easton (lead guitar), David Robinson (drums), and Greg Hawkes (keyboards), who also handled the bass parts in deference to Orr—the band has not only recaptured the spirit they brandished on such albums as Candy-O and Heartbeat City, but has also cooked up one heck of a snap-crackle-and-popping good time. Thick, grunge-spiked riffs in cuts like “Drag On Forever” and “Keep On Knocking” scruff up the predominant slickness with a bit of dissonance in just the right spots. While the shadowy ballad, “Soon,” delivers the most stirring, poignant moment on what is an all-around outstanding album and a most-welcome return of old friends. Let the good times roll, indeed.